As with any career, there are many ways of achieving the career you want. With Surgical Technology, this is no different. At the moment, most states do not require licensing although this is changing rapidly. Those who have been working in this field without proper certification will require them to obtain a recognized certification or they will need to find a career in a different field. As dismal as that sounds, it is important that one remembers that this is a medical profession and that this job directly affects the outcome of people’s lives. It is important to ensure that these professionals have been properly trained, certified and are kept current with the changing technologies used in hospitals, clinics and dental offices throughout the country. To obtain certification, it is important first to find out what regulations are set in the state in which you work. For instance, in Washington State, the CST is recognized and all surgical technologists must be certified and registered before practicing. The TS-C is not recognized as an appropriate certification and anyone looking at practicing in Washington with a TS-C certification would be required to obtain a CST certification as well. Each certification type has its own governing body. The CST designation is currently the most widely spread acceptable certification type in the United States and is regulated through the National Board of Surgical Technology and Surgical Assisting (NBSTSA). The TS-C designation is only openly listed as being accepted in Texas although other states will take this designation into consideration and is regulated through the National Center for Competency Testing (NCCT). As these are two completely different certifications run by different governing bodies, the requirements for the courses and exams differ between the two as well. The CST designation stands for Certified Surgical Technologist and is the most versatile designation at this time as it is recognized (and required) by over 11 states. The certification is good for 4 years at which time the applicant must renew their license either through continuing education credits or through re-examination. There are special considerations for graduates from a non-CAAHEP accredited course as well as those who have been working in the field without licenses so that experience is not wasted. These candidates will be required to complete a shortened course known as an Accelerated Alternate Delivery (AAD) to ensure all standards have been met. There are multiple portions of the exam and will consist of 200 multiple choice questions although only 175 will be scored (25 are pretest questions randomly placed throughout the exam). To pass the exam, you must correctly answer at least 118 of the 175 questions on the examination to obtain a passing score. 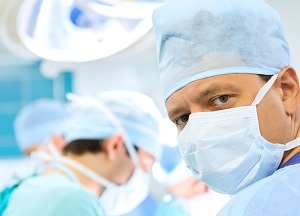 The TS-C designation stands for Tech in Surgery – Certified and is recognized in the State of Texas and may be accepted in other States upon review. The certification is good for 1 year at which time the Tech must renew their certification through continued education modules purchased through the NSST. 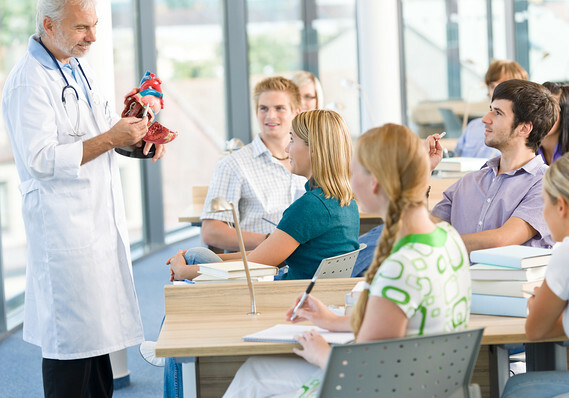 Current Student in a Surgical Technology program in an NCCT authorized school. Graduate from a NCCT authorized school’s Surgical Technology program. Three years of verifiable full-time experience as a Surgical Technology practitioner within the past five years. Completion of a Surgical Technology program or its equivalent during U.S. Military service within the past ten years. Recognition of a related credential. Foreign physician or RN with documented U.S. equivalency within the past ten years. There are multiple stages to this exam and there will be 175 scored items and a time limit of 4 hours. These questions come in the form of Multiple Choice, “Hotspot,” Drag and Drop as well as Multi-Select. Despite the relative simplicity of the test, the pass rate for the exam in 2013 was 65.00%. As mentioned above, the benefits to obtaining certification if it is not yet required is primarily so you are prepared for when it is a requirement. If that is not incentive enough, certified surgical technicians earn a higher wage right from the entry level and certified technicians continue to be at a higher pay rate than those who have not obtained certification despite tenure in a lot of cases.